Please read carefully through our submissions process. Celtica Radio is unlike most Commercial Radio stations, we are a world away from stuffy restricted playlists, and we cover all types of genres. We can usually find a slot for most of the material that is sent to us, and we have even created programmes for specific content. Although, of course there are no guarantees we can do this with everybody. Airplay is strictly under our Terms and Conditions [T&Cs], the Celtica Radio platform is independent of PRS/MCPS/PPL. You will be compensated for the use of your music, but using our alternative system. Any artist, signed or unsigned, can have airplay on Celtica Radio, but you must own the material you submit to us. 1. - e-Mail us with details of where we can listen to samples of your material by CLICKING HERE. Once we have had a chance to listen to your material, we will then get back to you. 2. 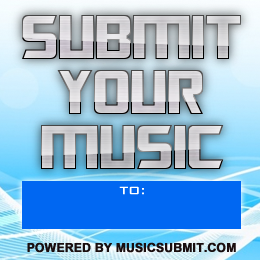 - If your material will fit in with our Playlists you will need to complete our Release Form. For the Word version, CLICK HERE, for the Plain Text version, CLICK HERE. Please note that we do not accept the form with any caveats added. Send the completed form back to us via e-mail. 3 - We'll then ask you to submit your music. You can submit one, or up to three mp3 tracks of your work. Also, please include an introductory biog about yourself or your band as well with the submissions. A short paragraph OF NO MORE THAN 110 WORDS is all that is required. We will need this to tell our listeners about you, so please include information where our listeners can buy your music. And that is it. If you want, we can even arrange an interview with you or your band. We are regrettably unable to pay royalties, but we do provide direct compensation to the bands we airplay in the form of publicity about them and how to buy their material. Research shows that this is a far more proactive and effective approach, than fractions of a penny per play royalties. It also avoids the problems associated with payments from the royalties' collection agencies. This alternative approach to compensating artists for the use of their music is exclusive to Celtica Radio, and has been since our inception in June 2000. To our knowledge, we are the first radio station in the world to operate in this manner. The individual high quality mp3's you send us are kept safe and always completely off-line. Remember, we also have programming covering Speech, and the Written Word including Poetry. Plus Faith Artists of all religions are welcome, as we have a dedicated programme for this too. WE DO NOT ACCEPT CD's SENT BY POST ANYMORE. Best regards, and good luck.